CentrePoint on Colombo Motel is supporting Malvern Scouts fundraising for the Jamboree in Hamilton at the end of the year by contributing to their Christchurch Winter Escape package that is being auctioned on Trade-Me. Log on, enter your bid and you can come and stay with us again, while making a contribution to a great cause!! The total package is worth over $700 and includes Jet boating for 2 with Jet Thrills, a Tram/Gondola/Punting family pass, a family pass to the Antarctic Centre, taxi to the Curator’s House for dinner valued at $120.00 and one nights accommodation for 2 in a Deluxe Studio at CentrePoint on Colombo Motel. And now, Great News!! Check this out! 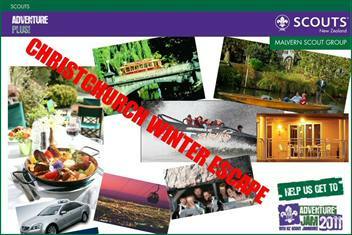 The Christchurch Winter Escape is now a COOL AUCTION on Trade-Me.